Maharashtra notched up MoUs worth nearly Rs.8 lakh crore during the Make in India Week. 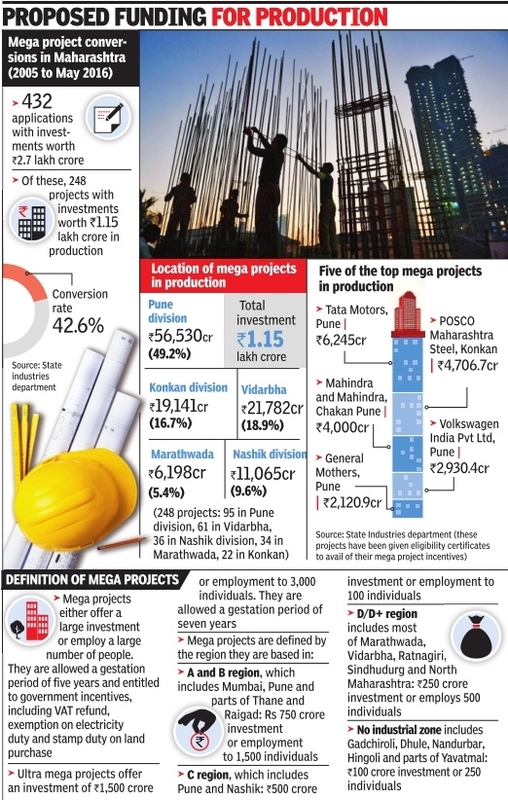 According to data from the state industries department, over the past 11 years, 42.6% of proposed mega project investments have materialized, which officials say is among the highest conversion rates in the country . The state received applications for 432 mega projects worth Rs.2.7 lakh crore between June 2005 and May 2016. Of these, 248 units have already gone into production and they account for investments worth Rs.1.15 lakh crore. Infrastructure, land availability, quality of labour and work culture are factors driving growth in the state's industrial base. 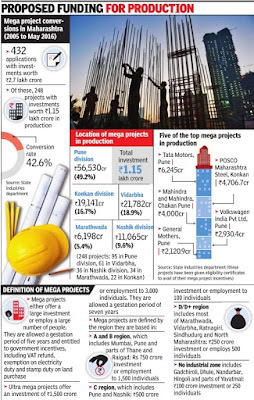 Apart from mega projects in production, 46 projects accounting for 12.8% of the applications are under construction and another 123 projects accounting for 39% of planned investments have “taken initial effective steps“ such as acquiring land. 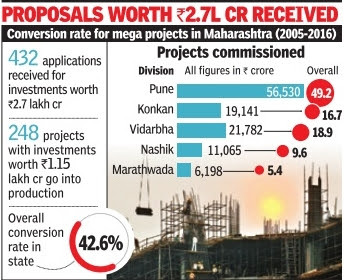 Only 15 projects worth 5.3% of investments under application are still in the process of taking preliminary steps and the bulk of these are in the Vidarbha region.